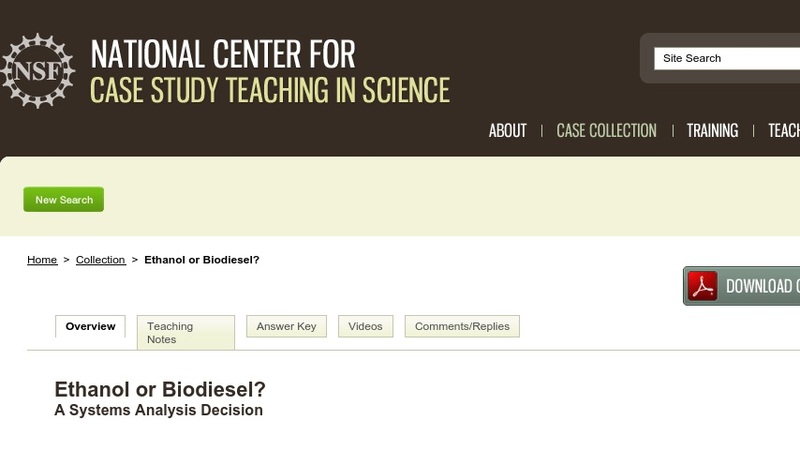 In this case study, two students have been asked to conduct a “systems analysis” study to determine whether ethanol derived from corn or biodiesel prepared from soybeans is the more energy efficient alternative fuel. The students must investigate the two systems very broadly to determine all energy inputs and outputs. When the corn-to-ethanol system turns out to be less energy efficient, the students are asked to consider the political and economic consequences of this and the role that science plays in making policy decisions. The case is designed for general chemistry courses and non-science majors’ chemistry courses.